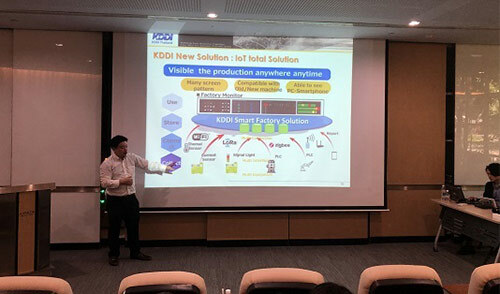 In March 2019, KDDI Japan, in cooperation with its local subsidiaries, held seminars for Japanese manufacturers in Bangkok, Ho Chi Minh and Hanoi that described its IoT products and related services. There continue to be an increasing number of expansions into Southeast Asia by Japanese manufacturers, but various problems for them have arisen such as higher labor costs, workers leaving their jobs, lower production, increased employee management load, and increased security risks. KDDI’s local subsidiaries in Southeast Asian countries are working to help customers with these issues, thereby allowing them to focus on their primary businesses, through increased business efficiency achieved through IoT and RPA solutions. 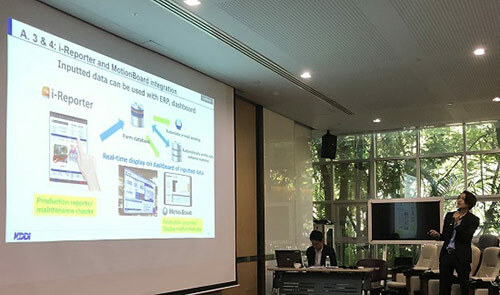 At the seminars, KDDI introduced its IoT Global Platform, as well as its IoT solutions including “Factory IoT + AI Analysis” and “ConMas i-Reporter”. Demonstrations using real equipment were performed, and a Touch and Try was held with the participants. ConMas i-Reporter: On-site workers use iPads to input data, creating electronic forms and enabling a transfer from paper records. For details about these services, contact us here. In addition to these seminars, KDDI plans to continue releasing information of use to our customers. We hope you look forward to our future activities.